Roberta is a young lesbian living in Santiago. Her girlfriend, Javiera is a woman of the world; actress, a dancer and philosopher. 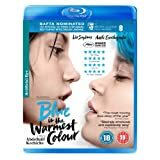 Despite all of Roberta's best efforts to avoid it, she finds herself in an awkward situation when she has to introduce her new girlfriend to her conservative mother, Ana. Falling for a woman was an unimaginable situation for wife, mother and church-goer Elena (Necar Zadegan, 24). 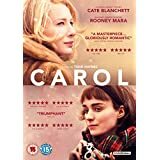 However when her friendship with out lesbian writer Peyton (Tracy Dinwiddie, Supernatural) transforms swiftly from a one-sided crush into a torrid extramarital affair, her supposedly heterosexual world is turned upside down. Coming out of the closet won't be easy, but with Peyton by her side, the pair take on the challenge and put right all the wrongs that set Elena on the wrong path in life. Celebrated writer-director Nicole Conn's beautiful tale of lesbian love, family commitments and everything in between is the ultimate ode to star-crossed lovers and desires that know no bounds. This hit arthouse ensemble piece traces the romantic and political ups and downs of a group of multicultural Chicago lesbians. The central story involves an unlikely romance between Max (Guinevere Turner), a hip young babe, and Ely (V.S. Brodie), a slightly older woman involved in a long-term, long-distance relationship that's basically a smokescreen for her fear of romantic risk. When the pair are introduced by Max's roommate, teacher/activist Kia (T. Wendy McMillan), Max isn't interested in Ely, whose long hair, hippie accoutrements, and fondness for decaffeinated herbal tea don't impress the younger, more fashion-conscious woman. Soon, though, fate, friends, and Ely's butch new hairstyle conspire to push the women closer together. As this new romance inches along, the pair's friends have problems of their own: Kia must help her closeted girlfriend, Evy (Migdalia Melendez), come to grips with the disapproval of her conservative Latina mother, while their pal Daria (Anastasia Sharp) incurs the disapproval of the lesbian community for her decision to sleep with a man. Filmed in black and white on-location in Chicago, Go Fish features a number of non-standard narrative devices, most notably the Greek chorus, or "jury," of lesbians who comment on not only the plot, but also the political and social ramifications thereof. 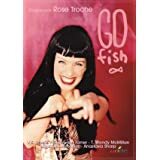 Shown in competition at Sundance in 1994, Go Fish went on to earn critical and commercial success and establish the careers of director Rose Troche and actress Turner, who together co-wrote and co-produced the picture. Turner would appear in several additional indies and co-write the script for American Psycho, while Troche would go on to helm 1998's Bedrooms.